My heart broke hearing the news of our dear brother’s passing yet my spirit rejoices knowing Donnie is in the Presence of the God he loved and served whole heartedly! Donnie was an inspiration to me when I first got saved in 1984! I attended his weekly UOP Chi Alpha meetings where he fed me the deep things and Word of God without compromise! I remembert times he prayed for me when I lived with his closest friends Joe and Amy Hunt! Another amazing couple along with Donnie and Cindy! Thank you all for your love and devotion to our Great God! And Praise God we shall all live together for Eternity worshipping our Awesome Lord! So MANY memories, it has been over 32 years, but I still remember summer camp at Richardson Springs, Chi-Alpha at UOP, and the Power Team. I remember he would do his kermit the frog voice and I would try and do Miss Piggy. He would tell me he was my big brother in the Lord and since I was an only child it made me feel like I mattered at I time when I needed it. The teen years at Lakeview Assembly and being a part of where Donnie was ministering truly was a blessing to me. I rejoice in knowing I will see Donnie in heaven. My thoughts and prayers are with his family and close friends. God Bless you all. Relationship:Donnie spoke at Chi Alpha events I was present at. Donnie spoke at the Chi Alpha NorCal Winter Conference in 2013 and I remember being struck by his amazing message and story. As a student, I always remembered the strong pastor/chaplain that gave bear hugs to anyone who asked. Fast forward to Fall 2017 when Donnie came and spoke at our UC Davis Chi Alpha group (Davis Christian Fellowship). Hearing about how he fathered the XA NorCal movement and discipled many others who came before me… it was extraordinary to come full circle and have Donnie pray for me and declare influence and identity over me. I am currently serving full-time on staff with DCF and I acknowledge and honor Donnie’s role in inspiring me to pursue ministry wholeheartedly. When Donnie spoke at DCF, we had over 100 students come down to the front of the lecture hall and respond to the simple gospel through worship. As we worshipped we completely went overtime as people encountered the love of Jesus! I will never forget how tangible the presence of God was in that room and how present and patient Donnie was to whoever was in front of him. I have been thinking about your family and praying for you all as you process this grief. Know that you are loved and that Donnie’s legacy lives on through all of you. May the peace of God wrap your hearts in grace. I met Donnie in the mid 80’s while serving as Youth Pastor at Faith Assembly in Sacramento. Donnie and the Team did so much for the young folks of our church and city. We stayed in touch from that day to now. 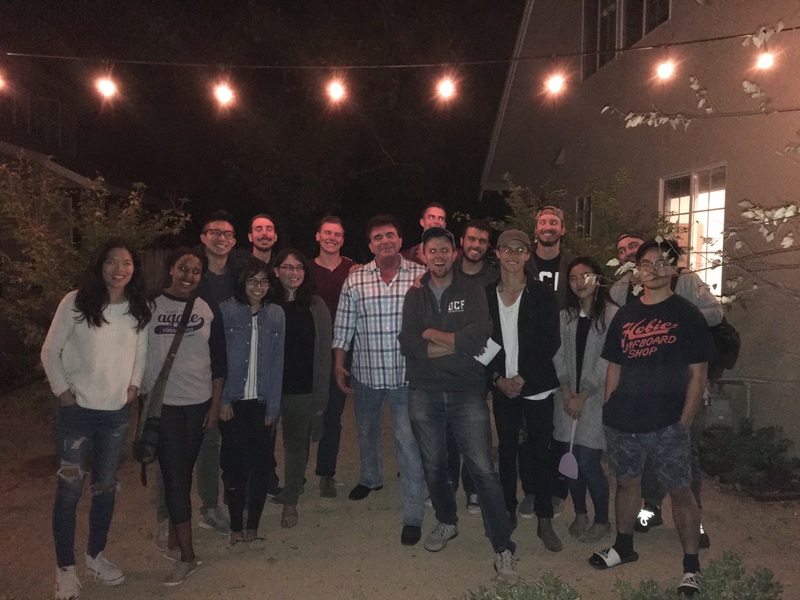 When I took a position at Century Assrmbly in Lodi we often found our way to UOP to join the College students who gathered to Worship and hear the Word at the Cai Alpha meetings there. Donnie never seemed to forget anyone and showed genuine interest in what was happening in our lives. From time to time my wife and I would get his attention at A’s games and he would come over with that huge smile to spend a few minutes and even ask us to pray for the Team (A’s). We last spoke to Donnie at Applebees in Lodi and he again wanted to know what we were doing and encouraged us to check out a number of ministry opportunities he knew were available. We had a great time as always talking and catching up. We look forward to catching up with Donnie again, next time in Heaven.